Staying on top of everything that needs to be done can be difficult. mHelpDesk reminder rules can help! Reminder rules allow you to automatically add a reminder to your or another staff member’s calendar at a set amount of time after a job hits a certain status. 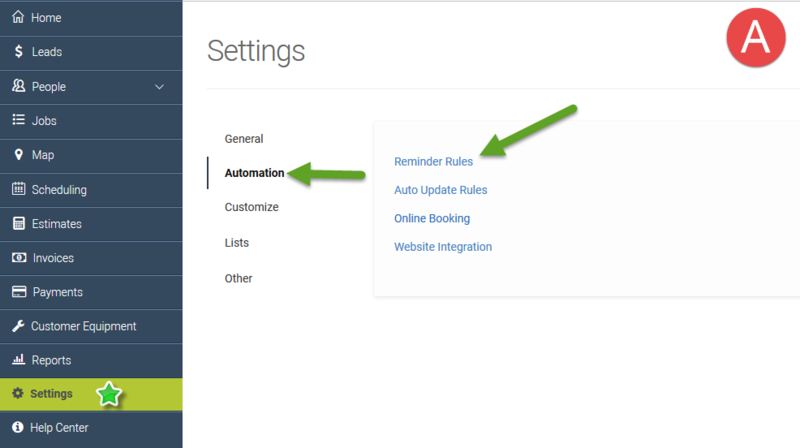 With the ability to configure such aspects like for what job types and statuses will trigger it or how long after the criteria are met will the reminder populate, you can use Reminder Rules to handle all kinds of reminders for your team. Reminder rules apply to staff who are assigned to a job, based on the job type and status. Follow these steps to set up reminder rules in your account. Login to your account in the web application and go to Settings. 2. Click on the blue Add button to create a new reminder rule. That's it! You’ve created an automatic appointment and email reminder, which will be sent when any job matches the type and status you've provided. You can create these reminders for all parts of your business.